The Code of Alabama, Title 30, sets forth the statutes governing divorce and related proceedings conducted by the courts of the state. These include provisions regarding pursuing a divorce based on an allegation of abandonment. 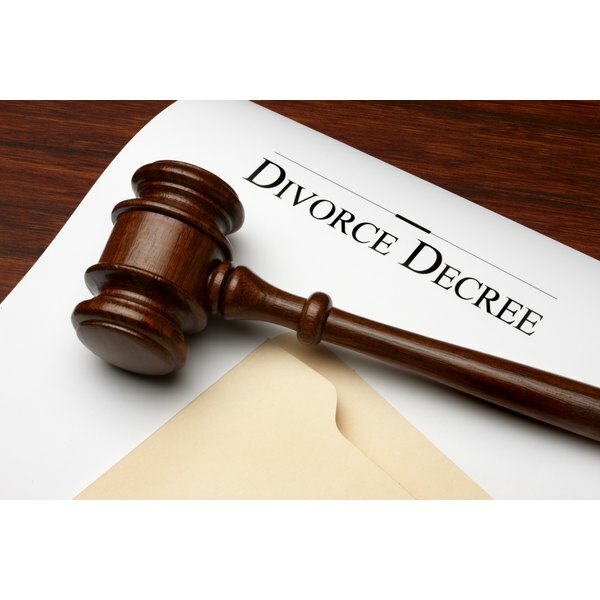 Certain unique requirements attach to seeking a divorce based on abandonment in Alabama, mandates set forth in this section of Alabama law. The Code of Alabama, Title 30, includes provisions that allow you to file a fault divorce in the state. Through a fault divorce you must demonstrate some sort of marital wrongdoing on the part of your spouse. The statute specifically lists a number of actions considered wrongdoing sufficient to support a fault divorce in Alabama. One of these is abandonment. If your spouse intentionally abandons you and there is no substantial communication between the two of you, a divorce based on abandonment can be filed in Alabama. Legal abandonment requires your spouse to be absent from bed and board--absent from your home and the marital relationship--for a period of at least one year prior to filing for divorce, according to the Code of Alabama, Title 30. If your spouse moves out of the home and yet you continue to engage in intimate relations with that individual, a divorce based on a contention of abandonment will not stand in Alabama. Despite being abandoned by your spouse, the laws of Alabama require you to make a reasonable attempt to serve divorce papers on that person. The constitution and laws of Alabama both mandate that a respondent to a lawsuit--including a divorce case--is entitled to notice and an opportunity to be heard. This requirement generally is satisfied when the sheriff serves divorce papers on your spouse. If you do not know the whereabouts of your spouse, which is a possibility in a case alleging abandonment, you need to submit a sworn statement to the judge advising of this situation. In that circumstance, the Alabama Code permits publication of a legal notice in the newspaper in the community where your spouse last resided to suffice as notice of the proceedings. Why File for a Fault-Based Divorce?